We have plenty of free parking in the field adjacent to the festival. If this parking lot happens to fills up, there is overflow parking available in another field just south of our property and along Highway 68. Handicap parking will be available close to the ticket gate (shown in royal blue). 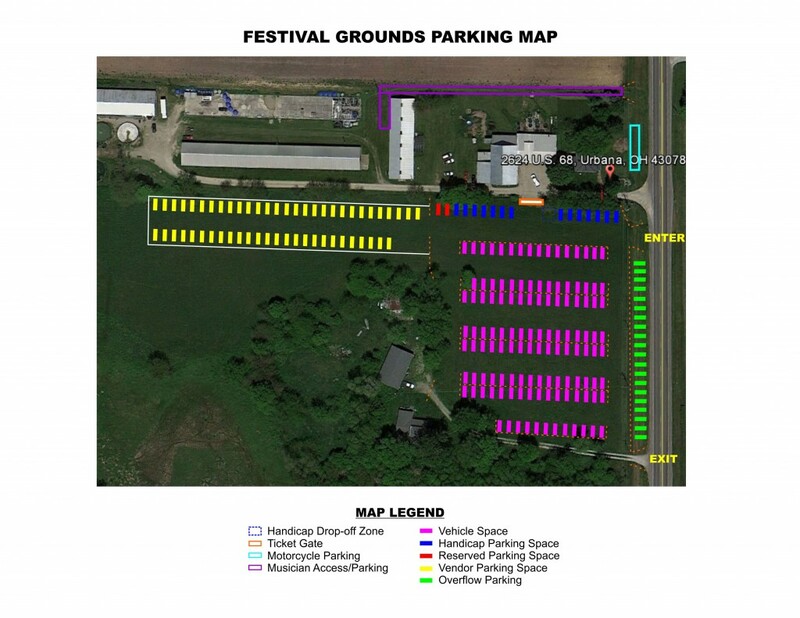 Designated motorcycle parking will be located at the front of the property (shown in light blue). As a courtesy to our festival guests, we will have a couple of free golf cart shuttles in the parking lot to help you get to and from your car.